Control - World's best "Schneider" PLC and accessories. Functions - manual / Semi Auto / Fully Auto. 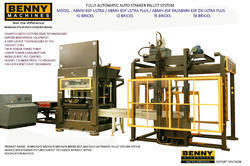 Looking for Fully Automatic Fly Ash Brick Making Machine ?